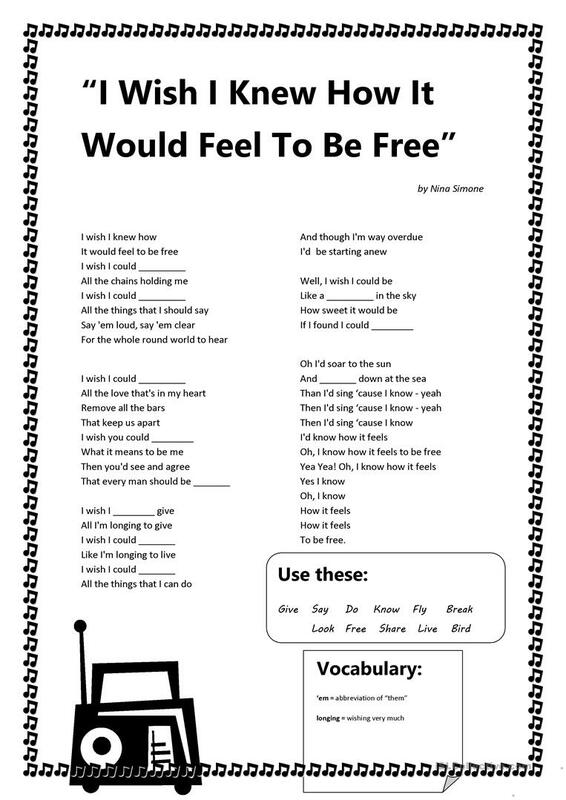 A song by Nina Simone to help the students understand better the use of "wish". 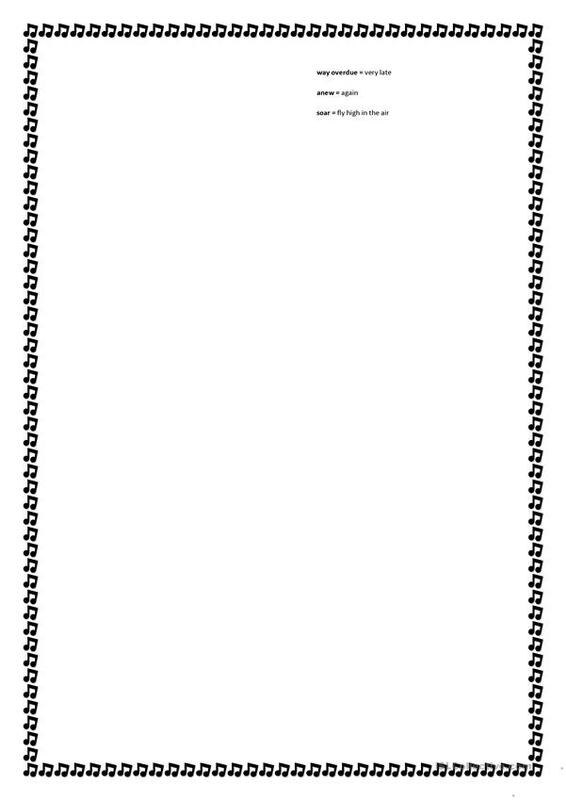 Fill-in the gaps. Before playing the song, I usually tell a little about Nina Simone and her work - I think it's important and interesting to know more about American music and personalities when studying English. Have fun! The above printable, downloadable handout is recommended for high school students and adults at Elementary (A1), Pre-intermediate (A2) and Intermediate (B1) level. It is a useful material for consolidating in English, and is excellent for improving your learners' Listening and Reading skills. It centers around the theme of Feelings, emotions.